Must be between the ages of 35 - 50 years old, although exceptions can be made. Need to be willing to come to our facility 3 days per week. Don't worry we will be checking in on you during your off days to make sure you are staying on track throughout the 6 weeks. Be able to make either Monday, Wednesday, and Friday at 7:30am OR Monday, Wednesday at 7:30pm, and Saturday mornings at 10:30am. There will also be time available to train Friday at 6:30pm! You need to commit to the entire 6 weeks. This will set you up for success in the long run. Must be willing to take progress pictures. Sometimes the scale doesn't move but pictures are worth a thousand words. Commitment and consistency is necessary. We understand life is hectic and things happen, but a few hours out the week can go a long way in making a significant change. Egos need to left at the door. Whether you're a former athlete or just someone looking to get back in shape, we are in here to train and make strides. Be supportive of one another. We are not a bootcamp and our sessions are not ran like "The Biggest Loser". We use science-based approach when designing your program. Our programs are here to build you up, not break you down. Need to practice the 80/20 rule with nutrition. Commit to eating well 80% of the time, and you can leave 20% to having a little extra. Following the nutrition plans we set forth for you will only help you attain your goals and learn the proper ways on eating. Please don't show up late. We don't have many pet peeves, but that is one of them. We like to start on time so we can get you the full benefit of your workout. Be ALL IN! Not giving 110% will only make your goals more difficult to attain. We are here to help you and support you. Give us all of you and you will get all of us! Still hesitant? Come on in and chat with one of our coaches. Just click the red link below. My wife and I started training with Hunt for Strength in January of 2010 and have been training with him ever since. I used to work at gym for two and half years, and can say for a fact that the coaches at Hunt for Strength have more knowledge on training than any other trainer I have met. My wife and I have looked forward to our sessions with them and they make sure that every session is different and fun. We have noticed a definite increase in both our strength and endurance which in turn has led to a healthier lifestyle. Hunt for Strength always make sure that we are motivated, and we would recommend anyone whether you are new to working out or a workout veteran to work with them to move to the next level.  All in All we can say we 100 percent satisfied and happy with our decision to start training with Hunt for Strength. I walked into Cornell’s office in March 2013 and said I can either spend money on a trainer or I can spend money on liposuction. Lipo would be quicker and easier, but at the end of the day I would still be weak and lazy, so I signed up for 40 sessions in 10 weeks. I had three goals - drop my body fat, get under 200 pounds and be able to do 10 pull-ups ( I could currently do three ). The day of my 40th session, I did 10 pull-ups and my body fat was down 6%. I thought ok this guy knows what he’s doing. So I signed up for more. You guys are stuck with me for a while.